Famous for his participation in Season 40 of Saturday Night Live , this popular sketch comedian and stand up comic was the first SNL performer to be born in the final decade of the 20th century. 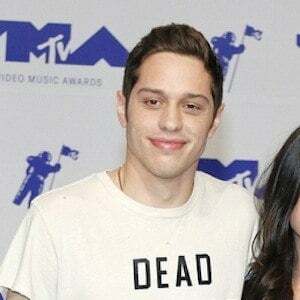 His other television credits include Failosophy and Guy Code on MTV and Comedy Underground with Dave Attell . Before beginning his comedy career, he studied at St. Francis College in Brooklyn Heights, New York. He has earned over 700,000 Instagram followers. He grew up in Staten Island, New York alongside his younger sister Casey. His father, New York City firefighter Scott Davidson, was killed in the aftermath of the September 11, 2001 attacks. 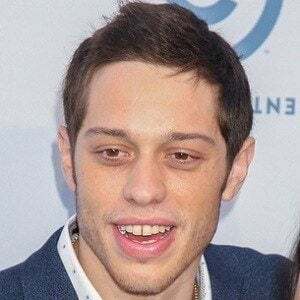 In June 2018, he got engaged to Ariana Grande after just a few weeks of dating. He previously dated Carly Aquilino and Cazzie David . 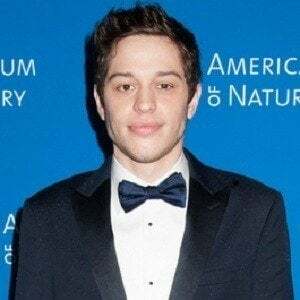 He appeared with Andy Samberg in an episode of the Fox comedy series Brooklyn Nine-Nine .